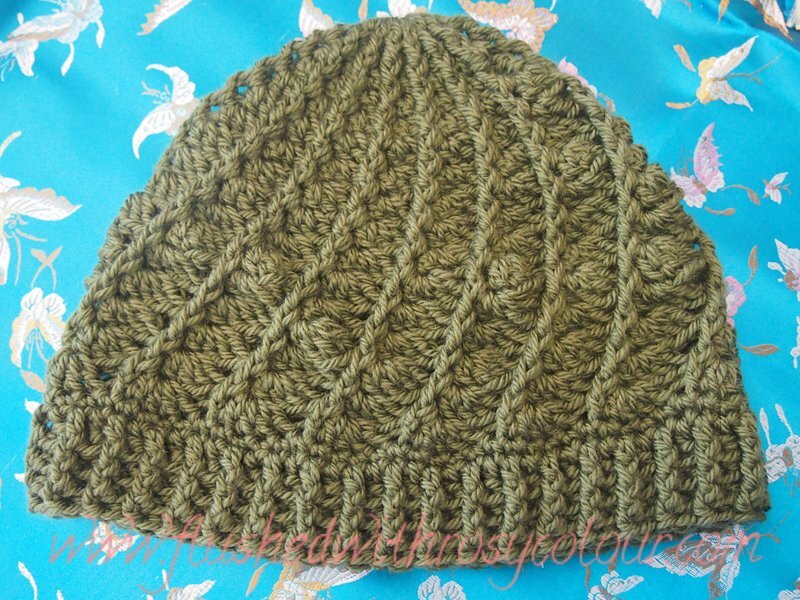 Here is a hat I hoped to give to a friend for her birthday on 22nd May, but I've been so busy I didn't get it made in time! I followed the pattern at Rheatheylia, anyone is allowed to use the free patterns there as long as the author is credited and a link provided. Using my 6mm hook for body and 5mm hook for brim, I made this beanie in one day. Its a very thick beanie, only suitable for really cold weather, it might be too thick for an Australian winter. I misunderstood how to hide the starting chain, I hid it at the end of the round instead of the beginning. I think this may have caused a buckle that wraps around the hat where each round starts. I also sl st along one cluster to do that, which might also have caused the buckle. I want to make this again, but I don't feel like making another one the same colour!